Very clean and nice apartment. No real resort amenities, pool was very small on the parking lot. Perfect for staying, eating at home while diving, but no diving amenities.... no wear to rinse or store gear. Due to holidays, we had no service of our room until 5 days in... had to ask for toilet paper which they were very good about getting to us right away and would have loved a mop to keep it tidy during our stay. Very friendly hosts who did everything to make my stay comfortable, including an upgrade to a very nice studio and apartment. Also the surroundings is very nice, quiet, with lots of trees and all kinds of birds. likes this apt very much , stylish, big rooms and cosy with a balcony. My kids loved the view of the airport but no noise disturbance of planes. Easy to walk to the airport. Rooms were very clean. Kitchen was well supplied. They furnished some tea bags and coffee pods, as well as soap, items we didn't have in the other condo where we stayed. It’s across the street from the airport but there’s hardly any flights so it wasn’t bad at all . We arrived on a Sunday when no one was at the reception. We were informed and communicated via email before our arrival to let us know there was a phone in the mailbox. Within 3 minutes of calling Inga arrived to greet us. She was absolutely amazing and upgraded our room for free. The location is easy to get to from the airport. Totally walkable. The view from the balcany we had were stunning and a great place to sip a freshly brewed coffee first thing in the morning. Inga provided us with everything we needed to get a round Bonaire and even suggested a restaurant to eat at (Sebastians) which we followed up with and was one of the best dinner spots on the island. All in all a great stay and we will be coming back! The studio was wonderful and had a awesome view over the lagoon. We had every day breakfast and dinner outside on the terrace. The kitchen was very good equipped - there was everything we needed. The owner was so nice and very helpful. We enjoyed our stay very much and it was the right choice for our vacation. And next time we will stay there for sure. The apartments are located 5 minutes from the airport, which is great if you have your flights delayed twice by 9 hours. The stuff was very helpful and made the check in and check out very easy and flexible, especially in these conditions. The apartment was clean, nicely decorated, with a kitchenette that had everything you need for a quick meal. There is also a pool that you can go to, but the beach is 6-7 minutes away. We have stayed in the studio which was great with a bed, sofa and terrace. The room was very clean and very comfortable. We loved it. Lock in a great price for Ocean Breeze Bonaire Studios, Apartments and Villas – rated 8.9 by recent guests! One of our best sellers in Kralendijk! 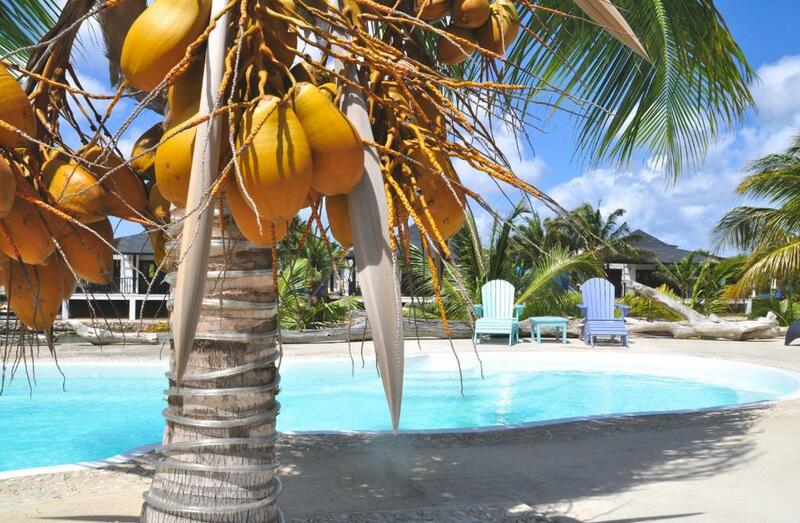 Located in Kralendijk, Ocean Breeze Bonaire Apartments offers an outdoor pool. This self-catering accommodations features free WiFi. Located in Kralendijk, only 10 minutes’ walk from Flamingo International Airportr, Ocean Breeze Bonaire Apartments is set in a complex with an outdoor pool. Free WiFi access is also offerd. The apartment is equipped with a TV, air conditioning and a balcony. There is a full kitchen that includes a dishwasher and a microwave oven. The bathroom comes with a shower. You can enjoy views of the sea front from within. At Ocean Breeze Bonaire Apartments you will find a garden and a terrace. The property offers free parking. Central Kralendijk can be reached in a short 10-minute drive. Restaurants and entertainment can be found within the city center. 뀐 Located in the top-rated area in Kralendijk, this property has an excellent location score of 8.4! When would you like to stay at Ocean Breeze Bonaire Studios, Apartments and Villas? Fully appointed apartment that features an equipped kitchen and a balcony. This studio has a balcony, microwave and flat-screen TV. This apartment features a dishwasher, oven and kitchenware. This studio has a oven, dishwasher and electric kettle. Verkeren in tropische sferen met de luxe van thuis. Het kan bij Ocean Breeze. Dit luxe in Caribische stijl opgetrokken complex met 30 appartementen, 18 studio's en 8 luxe villa's ligt op een privéschiereiland midden in een azuurblauwe lagune. Ocean Breeze is een familie bedrijf! Ocean Breeze ligt vlakbij het vliegveld en nog geen twee kilometer van Kralendijk, de pittoreske hoofdstad van Bonaire. Duik plekken op 500 meter afstand en wind/kite surf plekken op nog geen 10 min rijden. House Rules Ocean Breeze Bonaire Studios, Apartments and Villas takes special requests – add in the next step! ATM card Ocean Breeze Bonaire Studios, Apartments and Villas accepts these cards and reserves the right to temporarily hold an amount prior to arrival. Ocean Breeze Bonaire Studios, Apartments and Villas accepts these cards and reserves the right to temporarily hold an amount prior to arrival. Please note the property is currently undergoing renovation works until further notice. Please inform Ocean Breeze Bonaire Studios, Apartments and Villas of your expected arrival time in advance. You can use the Special Requests box when booking, or contact the property directly using the contact details in your confirmation. It's a lagoon view room but it's not by lagoon. Location and layout of the room. Super comfy bed and thoughtfully put together apartment. Plenty of racks, counter space, utensils, and even koffie melk in the fridge for the morning! Liked the room alot. Comfy bed and very important hot water! We stayed in a studio and I loved how modern the room was with the separate bathroom and toilet. The kitchen was complete and with a nice place to sit outside in garden vieuw. We got a comfy couch to watch tv. We had studio with "sea view". However, there was no sea view actually. From our balcony we can see only houses, construction site and parking lot. From other side it was highway, and it was noisy all the time. However, if you rent not a studio but an apartment (like one of our friends), you will get amazing view and no noise from highway. The service was amazing. Our hostess was always easy reachable, and helped us a lot. Location of this property was very convenient.